Hey everybody, it’s time for I and the Bird again, and with the holiday season bearing down on all of this I’m going to try to make this one really easy for all of you. The theme? Woodpeckers! You know them. You love them (unless they’re banging on your eaves at 5 in the morning). There are few groups of birds as charismatic and beloved as the order Piciformes, so let’s go ahead and celebrate them. 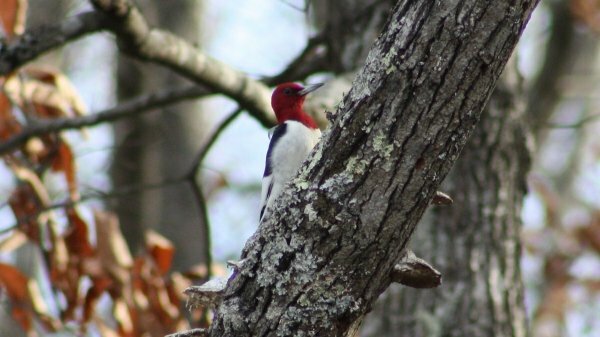 I’m sure we’ll get a lot of submissions, so please send your best woodpecker photos and blog posts to naswick AT gmail.com. Make sure IATB is in the subject line. Deadline for submissions is next Tuesday (12/17) for publication on 12/19.